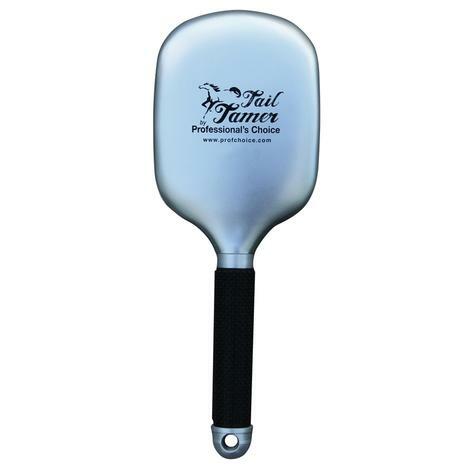 Full size silver sweat scraper from Tail Tamer. 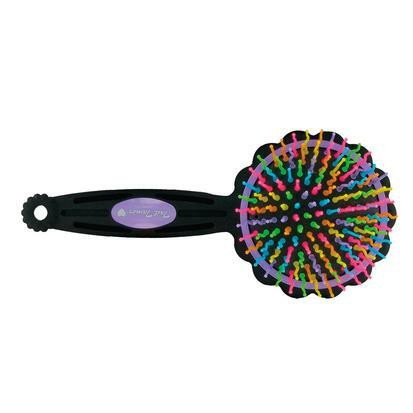 This paddle brush by Tail Tamer has bright colored bristles and super grip comfort handles. Comes in a stylish silver. This Tail Tamer grooming kit contains a dandy brush, body brush, curry comb, face brush, and hoof pick. The silicone bucket expands to 11” tall and folds to a single layer for easy storage. 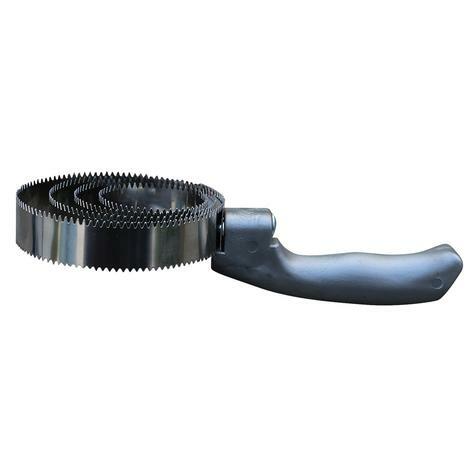 Tail Tamer round metal curry comb made with stainless steel and a super grip handle. 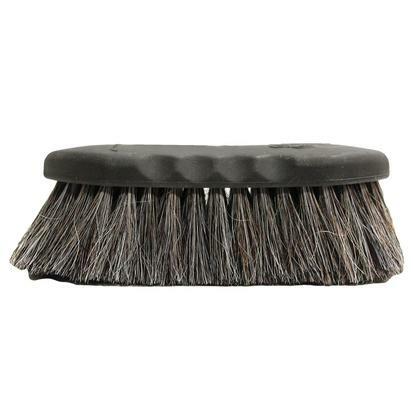 Large size charcoal color synthetic grooming brush from Tail Tamer. Small size charcoal color synthetic grooming brush from Tail Tamer. 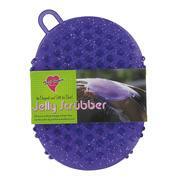 The Tail Tamer Petite Jelly Scrubber is sized for small hands so it won't fly off in the bath. Highly flexible, it bends and molds around any body part making bathing and shedding easier. The Tail Tamer Slick Bands are made of elastic, not rubber, and won’t pull, tangle, break or snarl your horse’s hair. 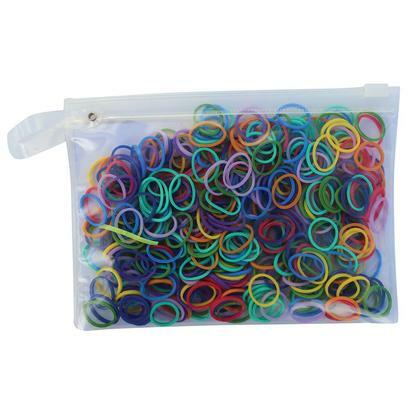 The thick bands are perfectly made for braiding and since they’re made from elastic, they won’t break down like rubber bands. The Tail Tamer Paddle Brush is a very durable mane and tail brush with flexible bristles to protect against damage and breakage. The textured handle insures a firm and sure grip. 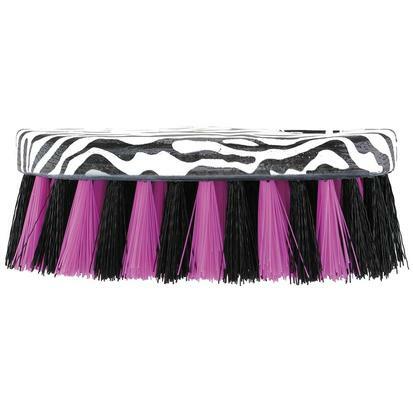 The Tail Tamer Zebra Brush features a vibrant black and white zebra printed handle with multicolor bristles. 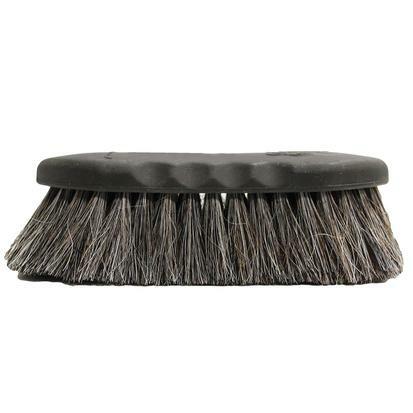 The long lasting synthetic bristles are excellent for grooming. 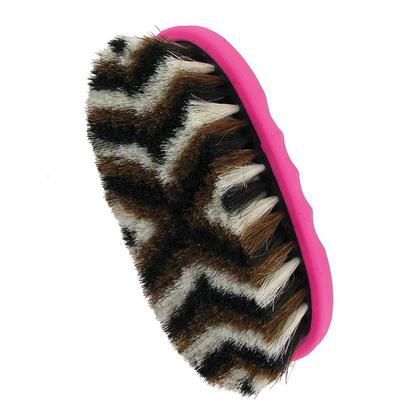 The Tail Tamer horse brush is great for everyday grooming. 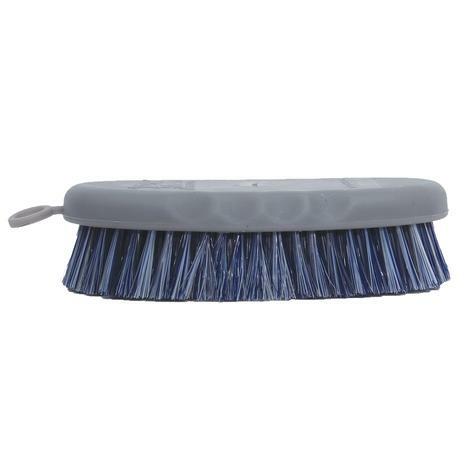 This brush is scaled down and has a rubber back with a molded grip that is easy to hold, even for smaller hands. 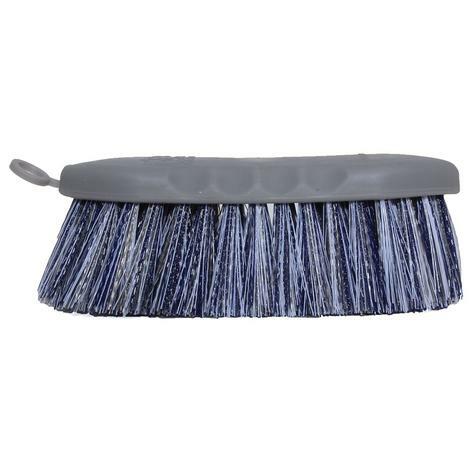 The dense horsehair bristles will leave your horse looking luxurious. 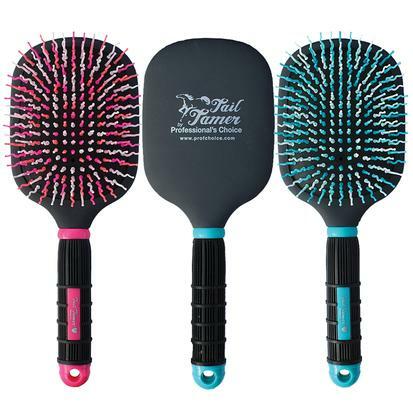 The Tail Tamer Flower Power Brush is very easy to use with a comfortable grip and beautifully colored bristles. 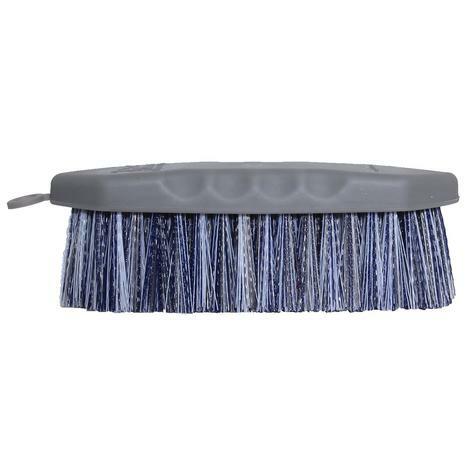 The bristles have a wave pattern for easy, tangle free brushing. 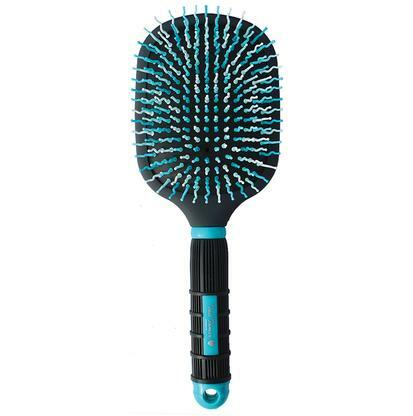 This tough brush is designed to easily handle even the thickest tails. 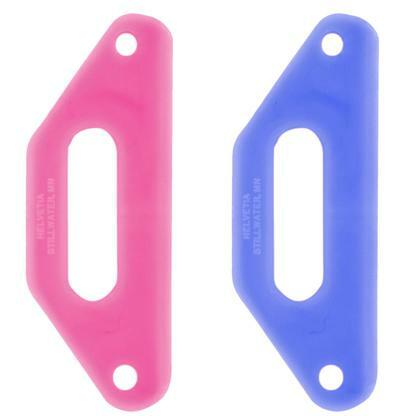 ABS plastic makes the body structurally sound and durable. The handle is padded which helps protect you from fatigue during extended grooming sessions. The unique bristle design is more effective when dealing with thick tails and tangles. 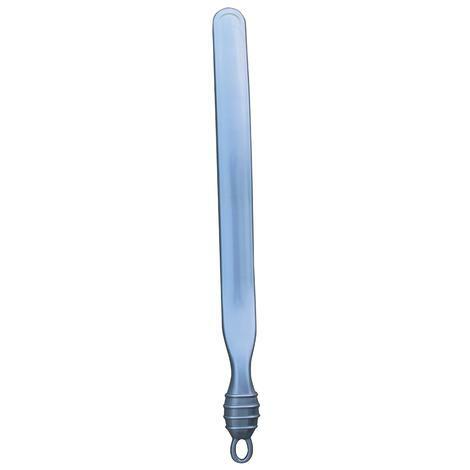 The original jelly scrubber by Professional's Choice is used for bathing and grooming. It helps wash out deep down dirt as well as gives a relaxing massage. 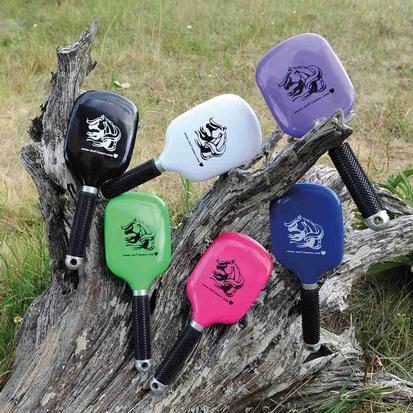 This is one of the hottest brushes in the equine industry. 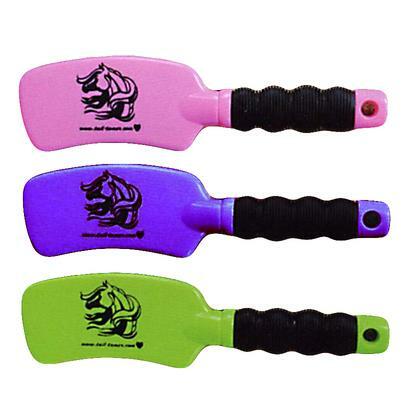 Professional's Choice plastic sweat scraper measures 6 inches long and is made of durable, heavy duty, unbreakable plastic. Makes for a perfect fit in your saddle bag. Using the curved brush will give you fast and effective results every time. The unique curved design helps grab extra hair as you brush, and the flexible comfort grip makes brushing out tangles simple and easy. Each brush has a hole at the end for easy hanging. 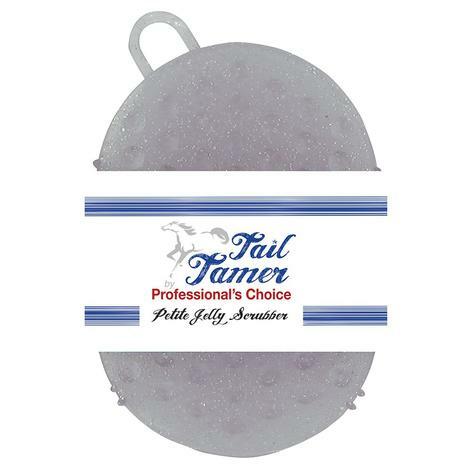 Tail Tamer manufacturers a variety of products to fit your horse grooming needs. 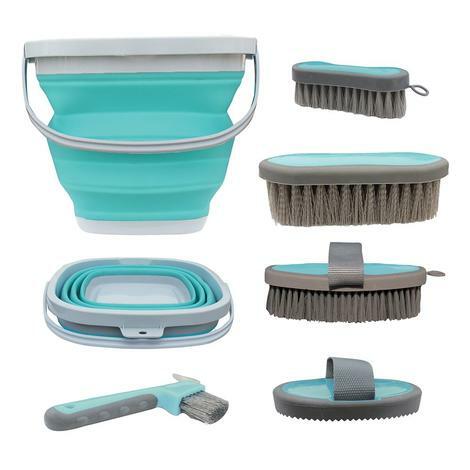 From brushes to jelly scrubbers, Tail Tamer has you covered.